Jennifer Ware von Sternberg, Esq. Jennifer Ware von Sternberg, Esq. was a Member of the Halliburton team in the Limitation Action/MDL arising from the DEEPWATER HORIZON explosion and BP’s Macondo block 252 blowout and oil spill in the Gulf of Mexico. Her experience working for Godwin Lewis PC in the Dallas/Fort Worth Area includes participating in trial preparation through the Phase one trial (liability) and Phase two trial (quantification and source control). She was assigned to liaise one on one with critical expert witnesses in drafting their initial and rebuttal reports and preparation for depositions and trial testimony. Additionally, Jennifer has attended numerous depositions, drafted witness outlines and deposition summaries. Jennifer Ware von Sternberg has researched and drafted memoranda on various legal issues relating to Admiralty Law and Oil and Gas law, including the application of OPA, OCSLA, the LHWCA, and the Limitation of Liability Act. Her experience working with American Airlines includes working in house with the airlines’ legal counsel and coordinated with outside counsel on multiple cases affecting the air carrier, including breach of contract disputes, trademark infringement claims, intellectual property claims, and Sherman Anti-trust violations. Mrs. Ware von Sternberg has reviewed contracts, pleadings, and drafted discovery including requests for production and interrogatories. She has also drafted deposition outlines, deposition summaries, legal memoranda and document review. Jennifer holds a Doctor of Law (J.D) Degree from The Southern Methodist University Dedman School of Law. 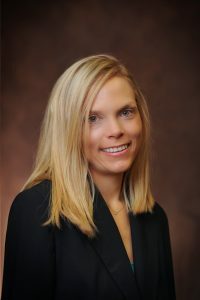 Presently, Jennifer is a Legal, Mediation and Arbitration Attorney with the Von Sternberg Law firm, a Civil litigation firm focused on family law, wills and estates, property disputes, elder abuse, intellectual property, insurance, contractual, and commercial disputes; drafting and negotiation of contracts.